Sugar is a deadly poison and subsidised by the EU Common Agricultural Policy CAP. So grown your own food! Prof John Yudkin showed, in 1957 that the consumption of sugar and refined sweeteners is closely associated with coronary heart disease and type 2 diabetes. 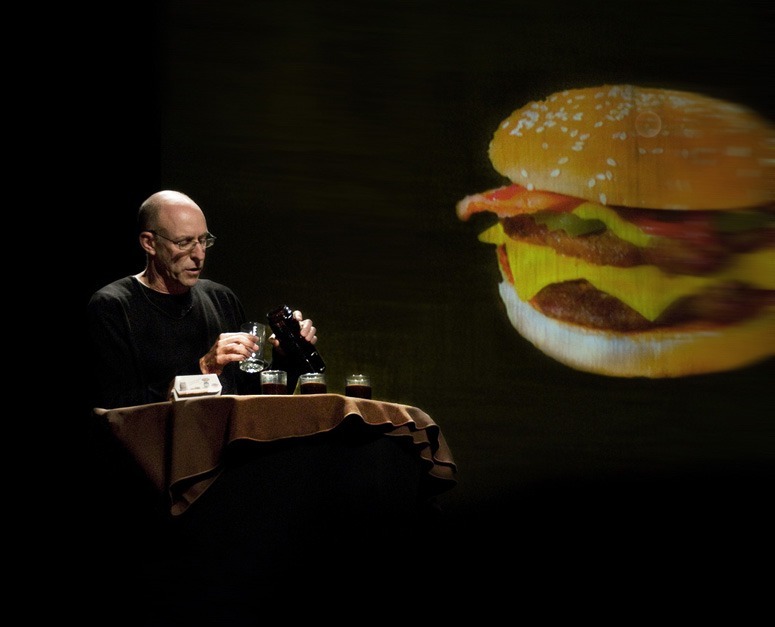 The argument was presented in a famous book Pure, White and Deadly (1972) which was, of course, bitterly attacked by the sugar and soft drinks industries. This may be why Robert H. Lustig (Prof of Clinical Pediatrics, at the University of California) called his much-watched Youtube video Sugar:the Bitter Truth. 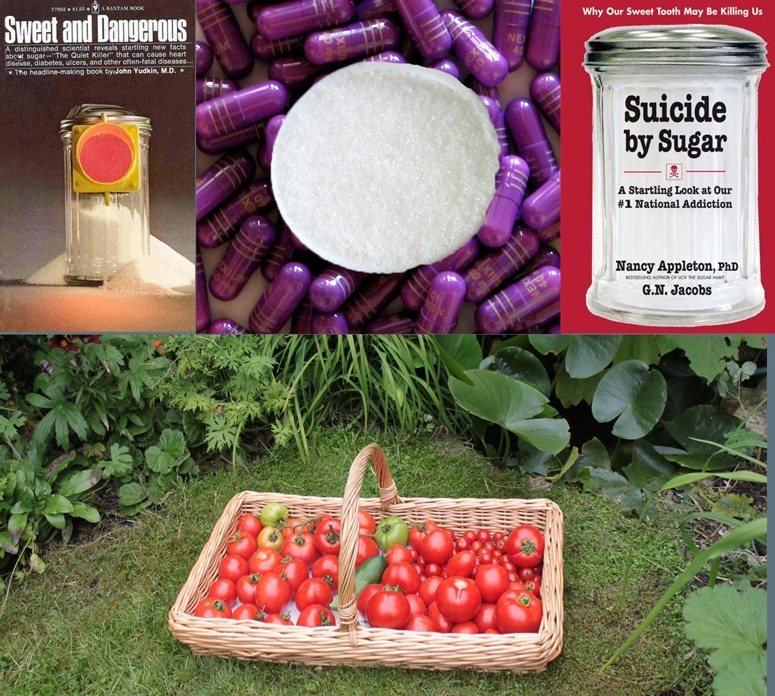 He extends Yudkin’s argument and explains how sugar is a major factor in heart disease, hypertension and many common cancers, with most of our sugar intake coming from processed foods and soft drinks. A dangerous consequence of eating sugar is that it stimulates the apetite and makes you put on weight. The food processors’ second favourite additive, salt, may be the world’s second worst poison. So how does the EU’s Common Agricultural Policy (CAP) deal with this terrible poison? It gives its largest subsidies to sugar producers, of course. Tate & Lyle Europe is the largest UK recipient of CAP money (T&L has received €828m since 1999). I say ‘of course’ because the CAP is a very bad thing, if not quite as bad as the Common Fisheries Policy (CAF) which has led to the ruination of Europe’s fish stocks. So what has sugar to do with landscape and gardens? Two things (1) the safest food to eat is food which has not been influenced in any way by food processing or the CAP (ie food which has been home grown in gardens and urban agriculture plots) (2) Europe’s current financial crisis is the best hope for some time that the CAP might be reformed – and when this happens there will be an opportunity to switch some of the expenditure towards rural public goods – and away from such notable public bads as the production and use of sugar in processed foods. 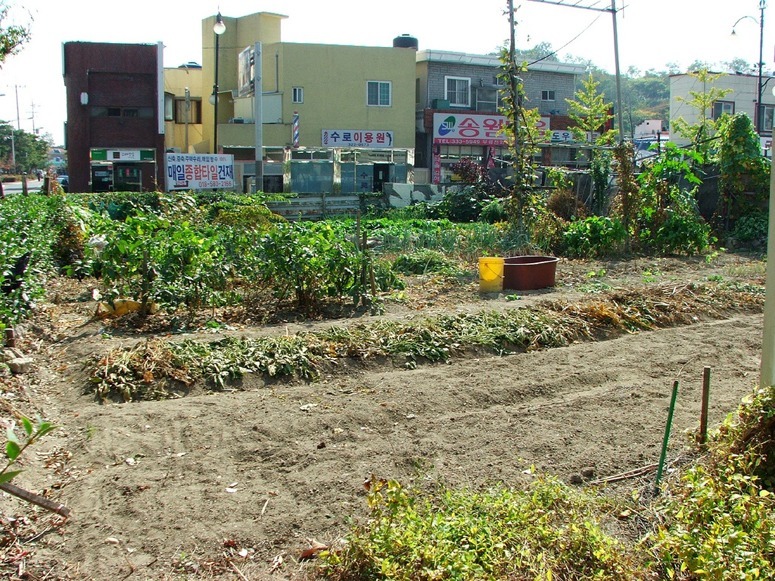 Landscape planning for growing vegetables in urban areas has to become a key input to the urban design process. It involves strategic policies for water, soils, air, light recycling, land-use and roofspace-use. The safest nutritional policies are (1) grow you own food (2) cook your own food. The home-grown tomatoes in the above photograph are so delicious they do not need cooking or flavouring. An interesting thought is that if more people composted household waste and grew their own food then GDP/head would fall, because less food would be sold, transported etc. There would also be less expenditure on health care. So I guess politicans, who are elected for promoting ‘economic growth’ will be against it, supported by their economic advisers. 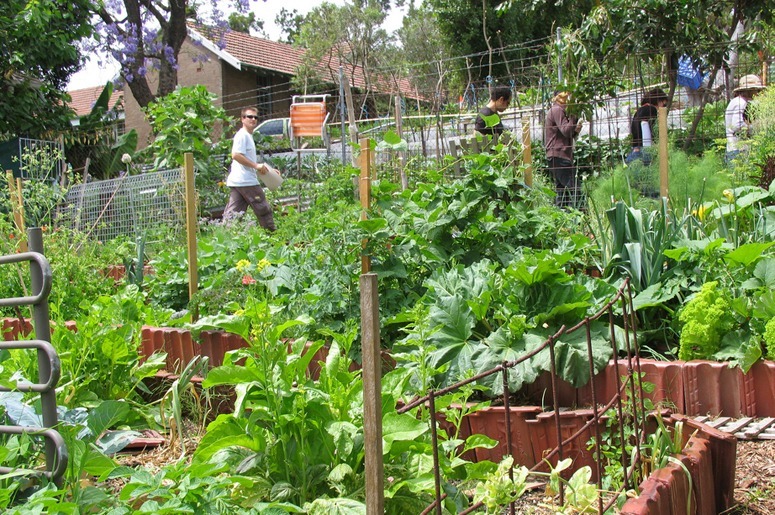 This entry was posted in landscape planning, urban food on 31st August 2011 by Tom Turner. But how to deal with the riot is less important than the prevention of future riots. I agree with John Bird (founder of the Big Issue magazine) that every person who receives unemployment benefit should do something in return for the money. But what could they do? My suggestion, thinking about my area of interest, is that 20% of the greenspace in London could be used for urban agriculture and that the work could be done by the presently unemployed. Straying outside my professional interests, there are many elderly and infirm people who could stay on in their own homes, instead of being brutalised in ‘care’ homes, if they had personal helpers. 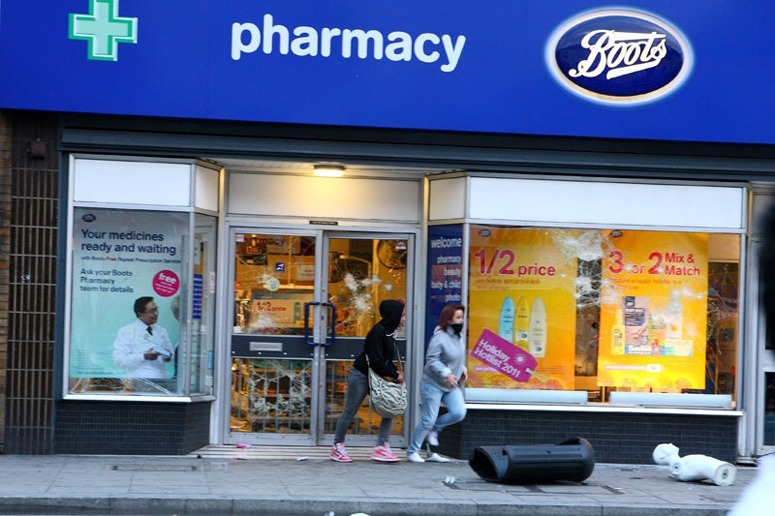 The underlying truth is that ‘the devil makes work for idle hands’ – assuming he counts looting a Boots shop as ‘work’. This entry was posted in urban food on 10th August 2011 by Tom Turner. If the above open space was in England it would surely be managed as vacant gark-land, for two reasons (1) views of grassland are thought to have public health benefits, because it was once believed that dirty air (rather than dirty water) was the cause of infectious disease (2) because it is believed that any food which is not fenced-in will be harvested by marauding gangs of theiving youths. So England has hectare-upon-hectare of mown-but-scarcely-used urban grass land – and Korea, like Japan and other SE Asian countries, has agriculture which still prospers in urban areas. The photograph does not have the beauty so often seen in agricultural landscapes – but this would surely be achievable. I would not want London’s parks to be any less functional or any less beautiful. But I would like to see producing food and am sure it could be healthier and tastier than shop food which has been over-irrigated, over-fed and over-treated with pesticides. Does anyone know of any good examples ‘beautiful urban food’ to inspire Londons park designers and planners? This entry was posted in Asian gardens and landscapes, urban food on 18th November 2010 by Tom Turner. 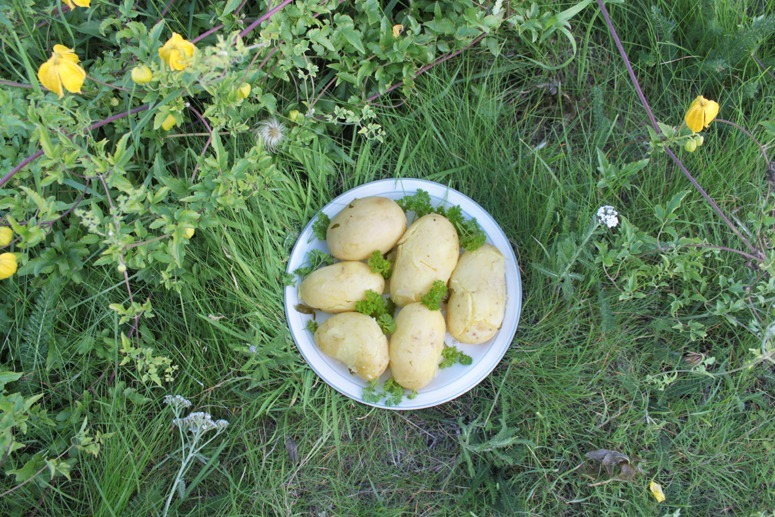 Here are some of the world’s best potatoes – and I grew them! They are organic Charlottes, seaweed-grown, flavoured with wild mint and dressed with fresh organic parsley. No chemical fertilizers or herbicides or pesticides were used. So if the local supermarket can charge £5/kilo for their best spuds then mine must be worth £10/kilo – making the above 1.5kg worth £15. Oh, and they are photographed on an experimental roof garden, with Clematis ‘Bill MacKenzie’. Sumptuous. Delicious. Yellow. Waxy. Wholesome. Sustainable. Wonderful. Free! But a little over-cooked, sadly. 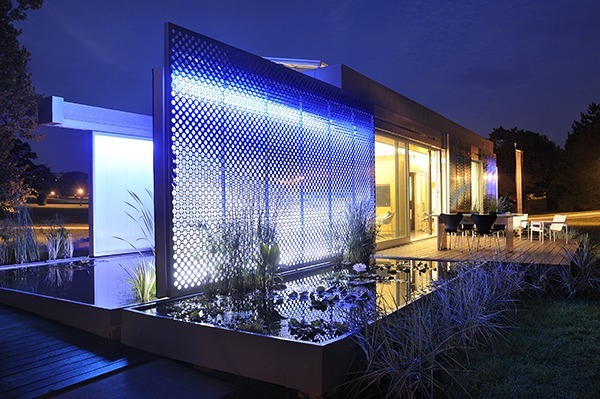 This entry was posted in Sustainable design, Sustainable Green Roofs, urban food on 13th September 2010 by Tom Turner. Socrates looks pleased to see that my chives are doing well but misty-eye puzzled that I have let weeds grow when the space could perfectly well be used to grow tomatoes. I tell him that while my wife grows the excellent tomatoes I am contributing to London’s 2010 Sustainable Green Roof Biodiversity Action Programme. See below post on beautiful food gardening. 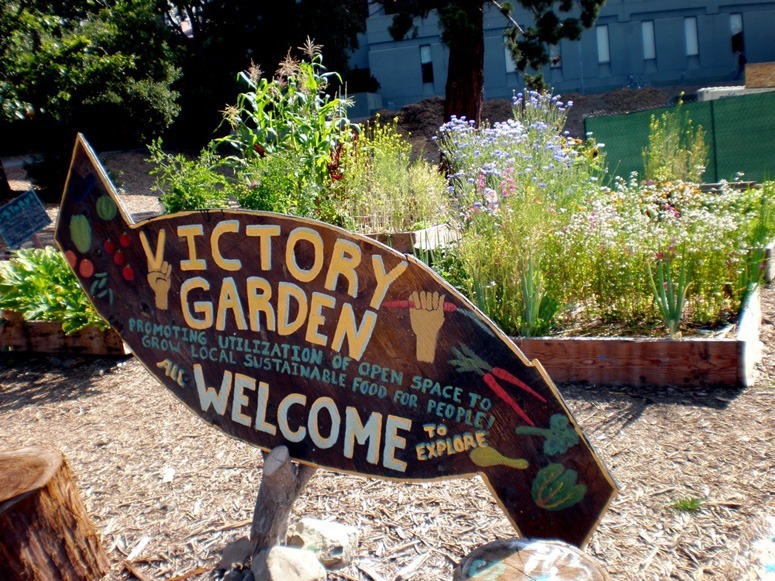 This entry was posted in Sustainable Green Roofs, urban food on 6th September 2010 by Tom Turner. 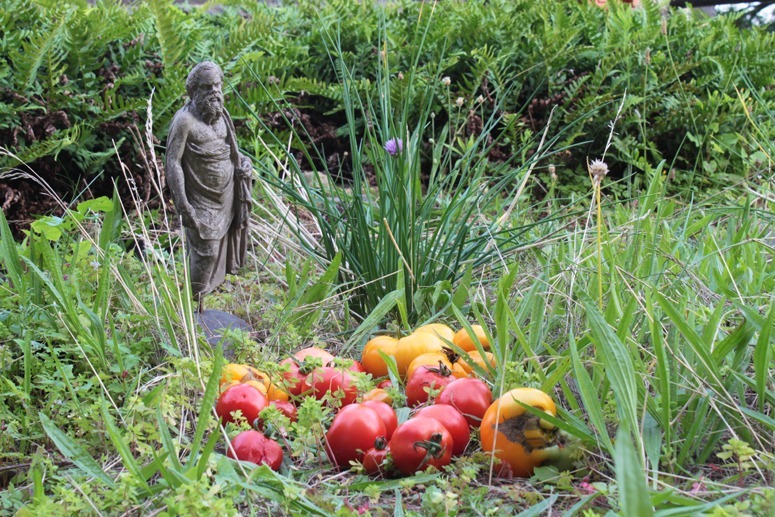 ‘Food gardening’ is a good American term for what the British tend to call ‘vegetable gardening’ – which is an inappropriate activity because it excludes fruit, fungii, honey, chickens, eggs, berries etc etc. But it would be better still if we could have an agreed name for what may have been principal activity in the world’s oldest garden and has certainly been carried on for a longer period than any other type of gardening: the combination of aesthetic and gastronimic objectives in enclosed and cultivated garden plots. Growing food was a major objective in Europe’s Medieval and Renaissance gardens – and may well (according to Craig Clunas) have been important in the pre-Qing classical gardens of China. 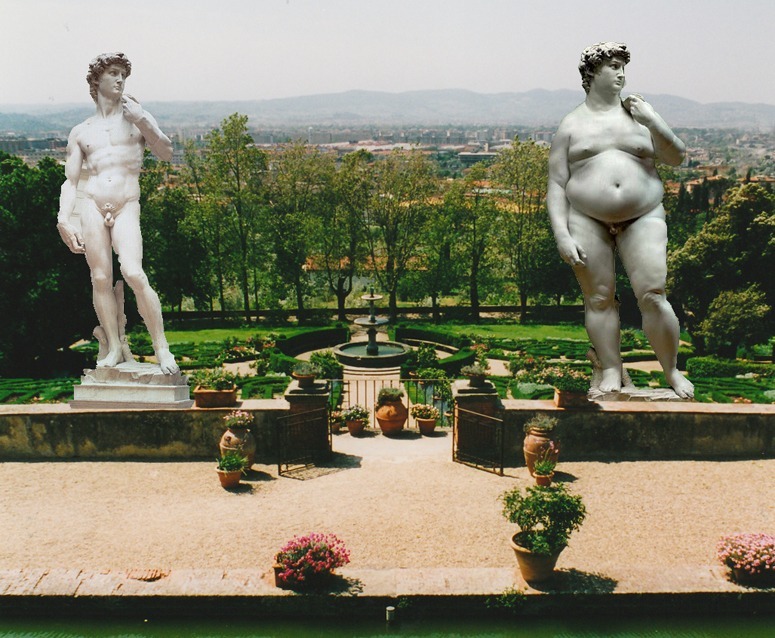 In modern Europe and America food gardening is already showing signs of being the ‘next big thing’ in the design of private gardens and public parks. So we need a good name for this good activity. 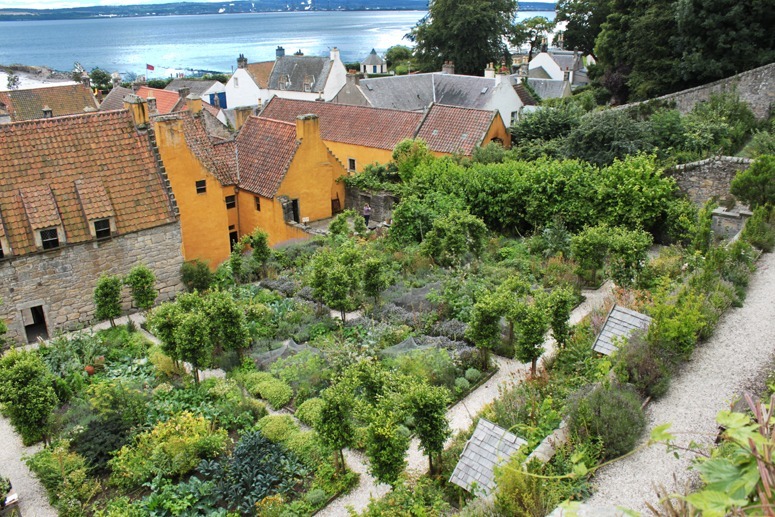 It is illustrated by photographs of Culross Palace Restored Medieval Garden. I propose BEAUTIFUL FOOD GARDENING as a name for aesthetic-gastronomic horticulture but would welcome suggestions for alternatives. 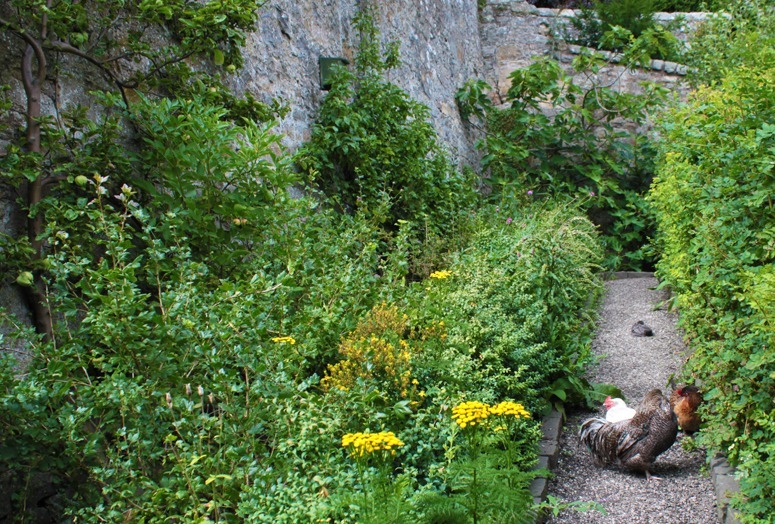 This entry was posted in Garden Design, urban food on 4th September 2010 by Tom Turner.